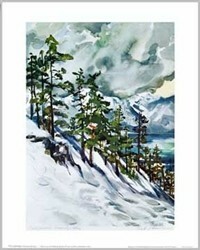 Size 19.5 x 27.5 inches. 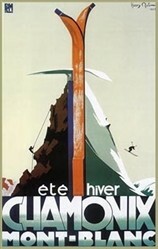 Poster showing the mix of skiing and alpine sports that Chamonix is famous for, was created by Henry Reb, to promote year-round sports activities for climbers and ski mountaineers. 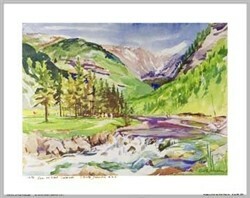 A quality reproduction of the 1933 original by Clouets, France. Size 19.5 x 27.5 inches.